At just 16 years old, Fatemah Qaderyan is the captain of her all-female high school robotics team, the Afghan Dreams. The team faced a myriad of challenges after being denied visas to travel to the U.S. for a global robotics competition, including threats of violence at home in Afghanistan. 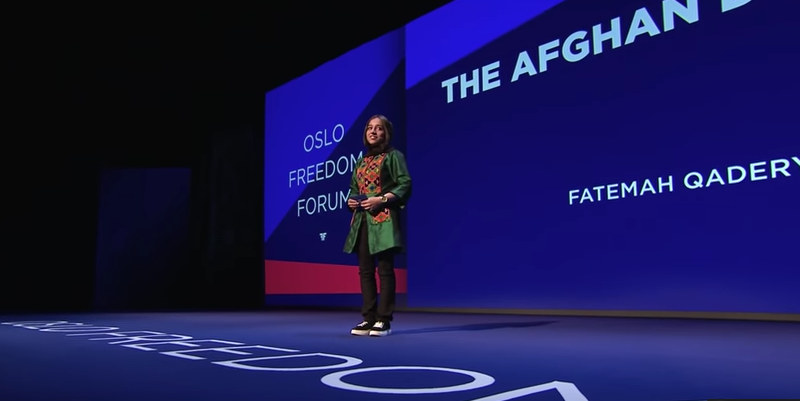 Qaderyan advocates to raise awareness about the importance of women’s education in Afghanistan, and explains her determination to do everything she can to build a better future for her country.